Spanish conquistador Hernán Cortés from the 1500s is best remembered through a great military quote: when you arrive on your enemy’s shore and you want your soldiers to fight like hell, ‘burn the boats’, said Cortés. 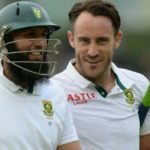 South Africa’s Hashim Amla and Faf du Plessis have each gained a position, in the latest International Cricket Council’s rankings for Test batsmen released on Monday. 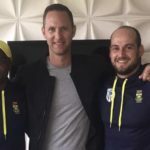 We had a chat with former Dolphins player and current cricket agent Jon Kent to find out more about the role of a sports agent in South African cricket. 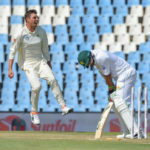 South Africa’s premier batsman Hashim Amla still has an appetite for runs which suggests he is nowhere near finished his job for the Proteas. 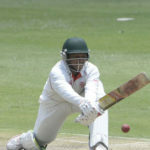 After scoring a half-century on his birthday for the Warriors, we take a look at one of our previous Future Stars, Sinethemba Qeshile. Zubayr Hamza is working hard to become the best version of himself he can be.